Mr. Philip Barton, British High Commissioner to Pakistan called on the Minister of State for Information Technology Ms. Anusha Rahman here in her office today and discussed areas of mutual interest and cooperation between the two countries, especially in IT & Telecom sector. The high commissioner apprised the Minister that the U.K appreciates the vision and efforts of Pakistan for the development of Information Communication Technology (ICT) sector and expressed their willingness to cooperate and collaborate in areas of common interest in the ICT sector. 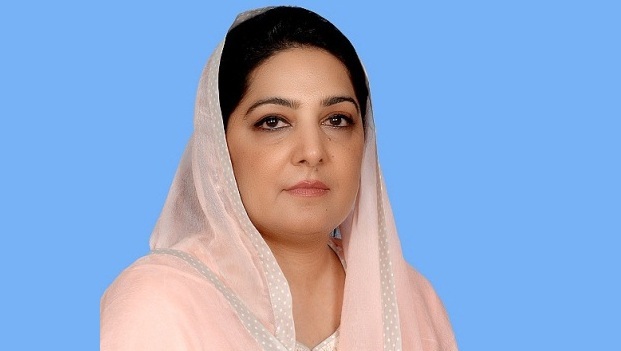 While expressing her views on bilateral relationship, the Minister said that Pakistan and UK enjoy strong cordial relations and UK governments’ engagement with MOIT for enhancement of ICTs in Pakistan will further augment this bond. The Minister further added that Ministry of IT under the leadership of Prime Minister Muhammad Nawaz Shareef is committed to deliver on PML-N,s manifesto for the betterment of the people of Pakistan in particular the welfare of masses living in underserved and un-served areas of the country by using Information communication technologies. Telecenters, technology parks, availability of next generation spectrum, tech-city supporting start ups, are some of the key mile stones to realize this objective.